We love large crowds! 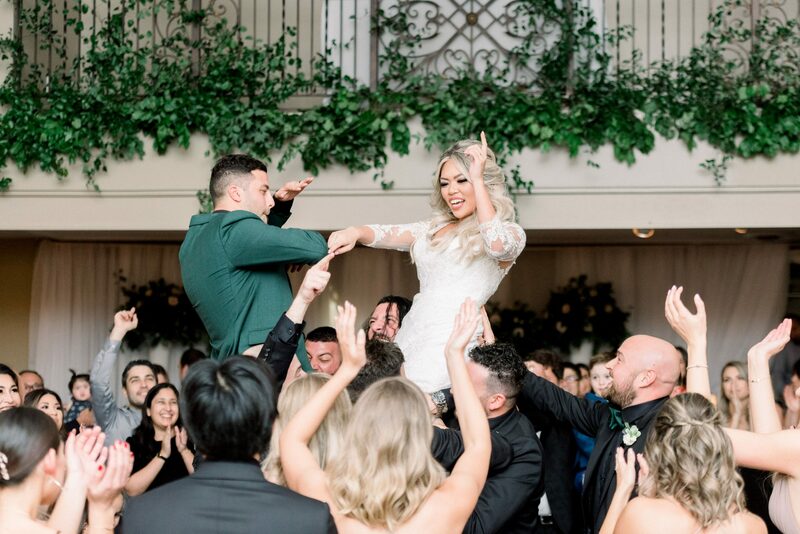 When Kayla and Sebastian came to us with their wonderfully large and party-charged guest list we couldn’t wait to host! 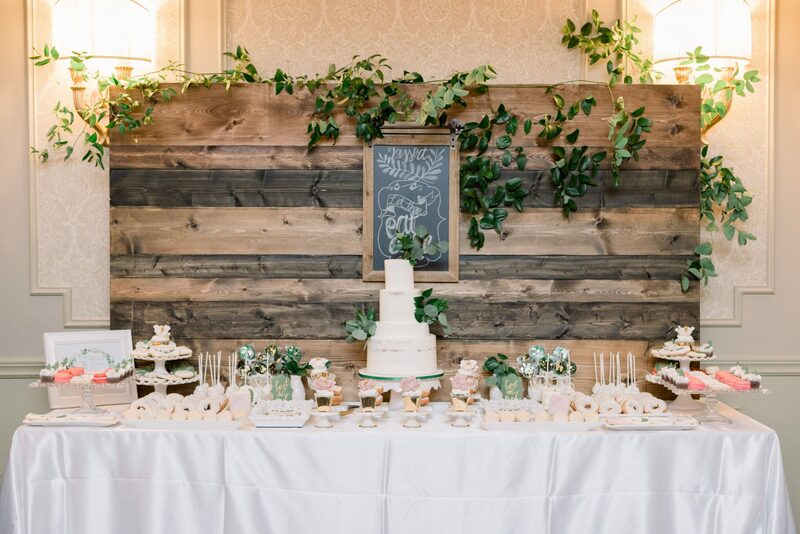 We loved catching up with them to chat about menu details, amazing vendors and how they achieved their outdoor wedding dreams – indoors! What made you choose LIUNA Gardens? We had a wedding of 420 people, which immediately limits your options for wedding locations. We wanted to pick a place that could serve such a large amount of people with consistently delicious food throughout. 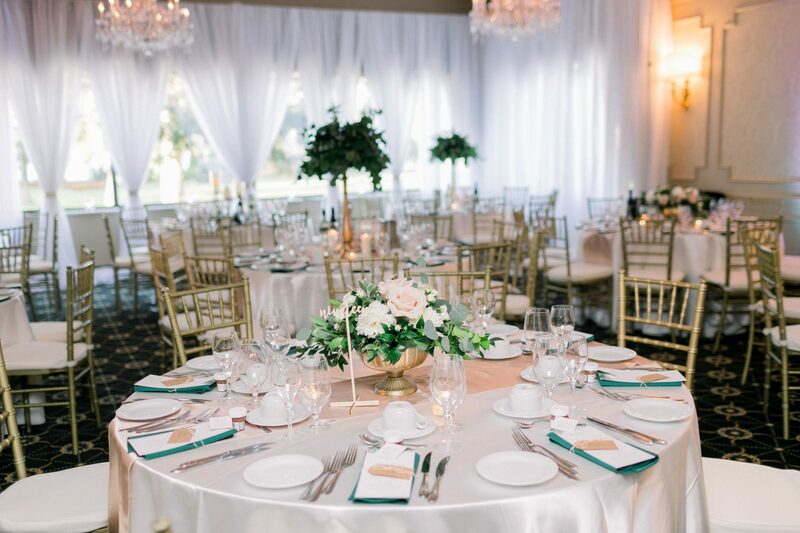 Every event we have been to at LIUNA Gardens has has delicious food, every single time, so it was an easy choice. I’ve always wanted to get married outside, but I didn’t want to take the gamble with an outdoor event. So, we brought the outside inside, with greenery draped from the balcony giving it a romantic Tuscan feel. 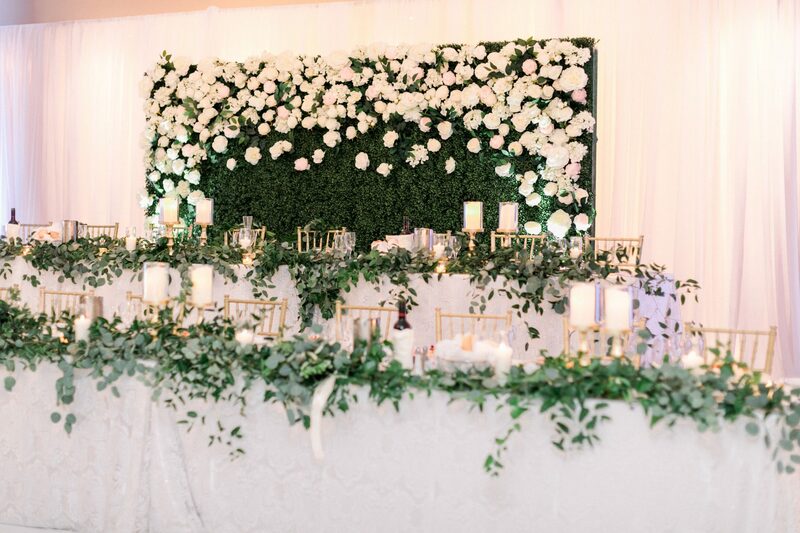 We had greenery and florals all throughout the hall. What was it like working with our preferred vendors? 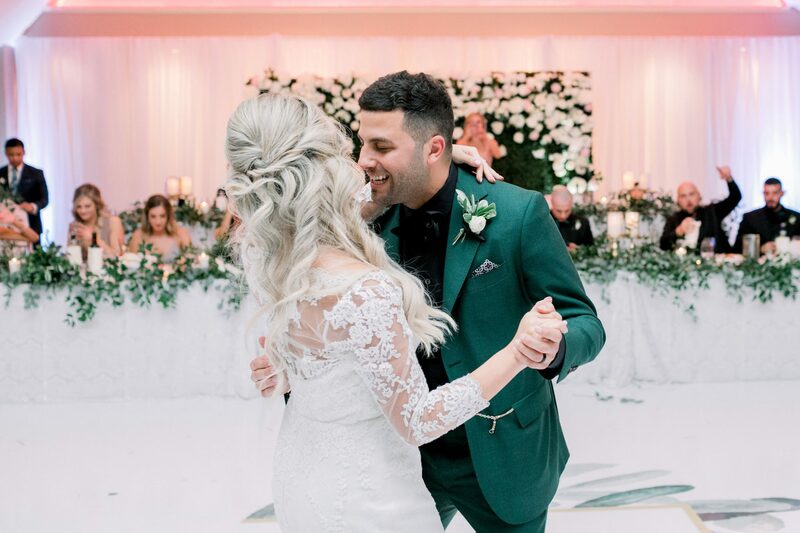 We worked with the preferred DJs – DJ Emporium, and they absolutely made our wedding. It was a party from start to finish, and that is exactly what we wanted! They were very easy to work with. What was the process like creating your menu? What was one thing that stood out to you? Creating our menu could not have been easier. Rob made it very clear that the possibilities were endless, and he was great with providing recommendations, especially for a wedding of our size. 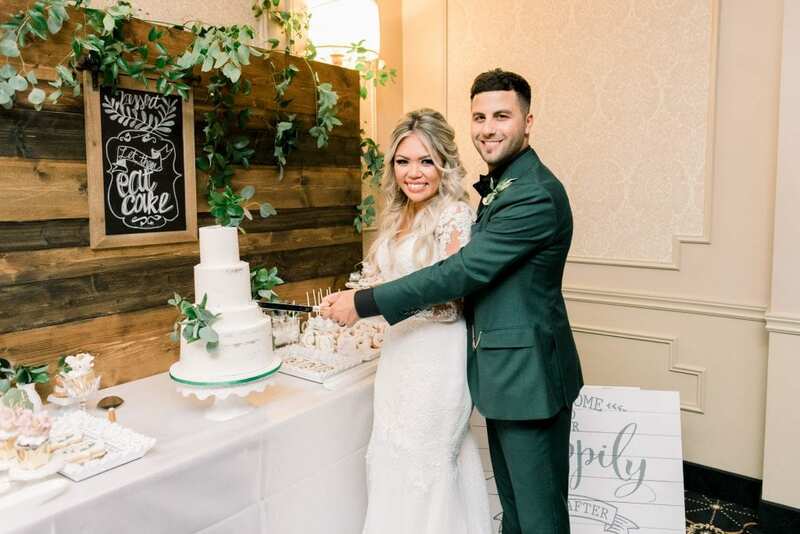 What stood out to us was how open-minded the LIUNA staff were, from various meal options for each guest to all the dietary restrictions required amongst the large group. They were confident they could, and they did, ensure that everyone enjoyed their meals. How would you describe your overall experience with LIUNA? Our overall experience with LIUNA was more than we could have ever asked for. They went above and beyond. LIUNA Gardens was more than willing to help with all our many requests. Each staff member we worked with made us feel like we were a priority and treated us so nicely. The experience we had was so memorable. 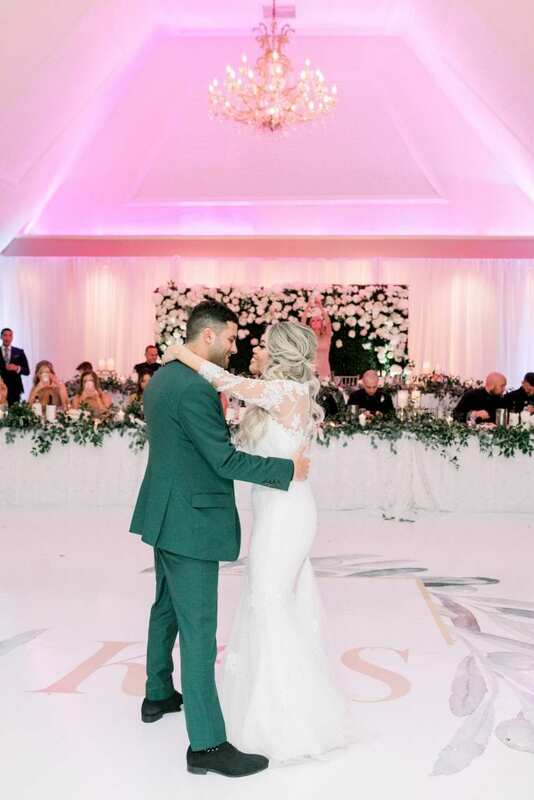 My favourite part was when were with on the dance floor with all our closest family and friends. The look on everyone’s faces, and the happiness we felt will always be remembered. We could tell that everyone was genuinely having as great of a time as we were. I wouldn’t change a thing! I know its cliché, and most brides say it, but it really was a dream come true. What would you recommend to other brides and grooms starting the wedding process? My biggest advice would be to do what YOU want! Everyone is going to have an opinion regardless of what you do, so make sure to do what you love. One thing you couldn’t have lived without through the whole planning process? I am such a geek for saying this but Microsoft Excel! From managing our guest list, to food selections and dietary restrictions, and most importantly our budget. I don’t know what I would have done without it. Three words to describe your bridal party? How about one? Party. They definitely ensured there was people on the dance floor at all times – even throughout dinner!